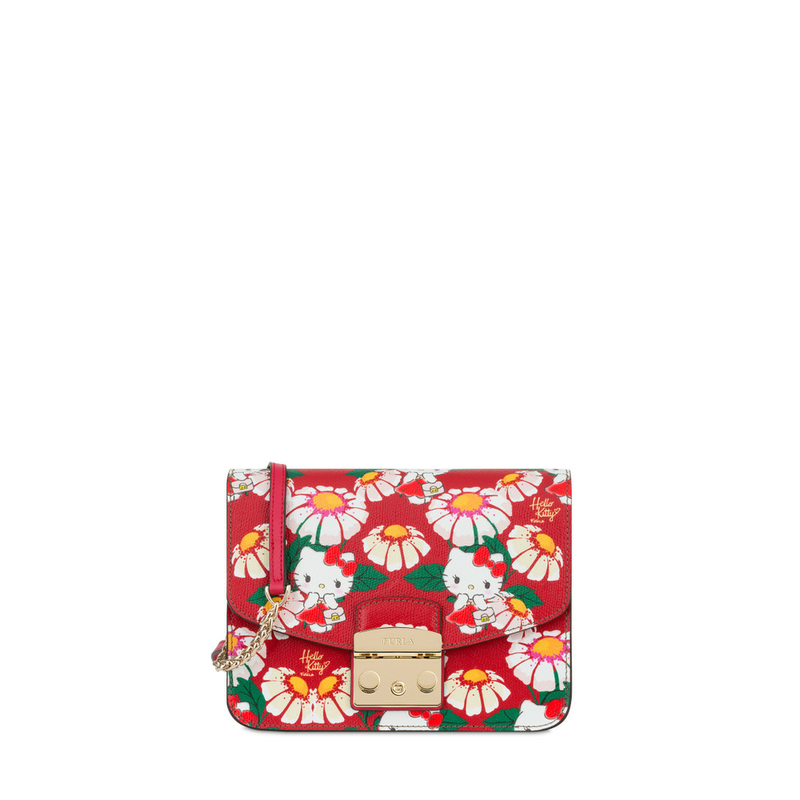 The print depicting Hello Kitty and daisies makes the Furla Kitty bag in textured leather even more special. The padlock in gold-tone metal is a distinctive trait of this minibag in leather. One practical open pocket is available on the inside. This women's minibag can be carried as a crossbody minibag or as a mini shoulder-bag; thanks to its removable shoulder-strap in metal chain.